Cosmetic surgery has become popular in recent years. It’s not only the entertainers who avail of these procedures but even ordinary people too. Cosmetic surgery is a type of plastic surgery. Its purpose is to improve or change the person’s appearance. These procedures can be done on almost any part of the body. 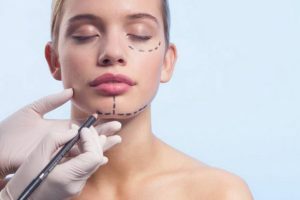 The confusion between cosmetic and plastic surgery may have arisen from the practice of some plastic surgeons to focus solely on cosmetic surgery. Both aim to improve the person’s appearance, but plastic surgery’s purpose is to repair defects so that the person can function and appear normally. 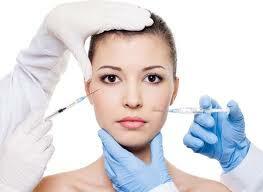 Cosmetic surgery on the other hand is done to enhance appearance even if there are no physical defects. Cosmetic surgery is done not just by plastic surgeons but other practitioners too. Common plastic surgery procedures include the following: burn repair, breast reconstruction, congenital defect repair such as for the cleft palate, hand surgery, scar revision and lower extremity reconstruction. 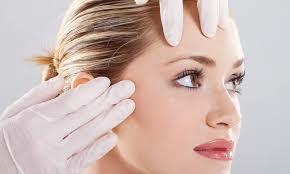 Cosmetic surgery is divided into several types based on the part of the body where the procedure is done. Perhaps the most common procedure and the one that popularized cosmetic surgery is breast surgery. The following are the most common procedures: breast augmentation, breast reduction, breast lift and fat transfer breast augmentation. Body contouring is shaping the body usually after fat reduction procedures. These include body lift to improve the tone and shape, arm lift or brachioplasty, thigh lift, buttock or gluteal augmentation and tummy tuck or abdominoplasty. These are procedures which aim to reduce fat in certain areas of the body. They include liposuction, liposuction-laser or ultrasound assisted, and the nonsurgical fat reduction which is a minimally invasive procedure. Procedures are done on the skin, ears, eyes, nose, mouth and chin. Some examples are facelift and thermage for the skin, ear reshaping, eyelid lift and eyelash transplantation, rhinoplasty for the nose, lip fillers and malar augmentation for the mouth, and genioplasty for the chin. This can be a category on its own because of the range of procedures that have been developed over the years. These are all aimed to reduce the signs of aging caused by sagging facial features. Facial rejuvenation includes eyelid lift, neck lift, brow lift and facelift. For those who are suffering from hair loss, hair transplantation can solve the problem by grafting tiny hair follicles from the back of the patient’s scalp and then transplanting them to the balding areas. Even men also find cosmetic surgery more attractive. The most common are hair replacement in the form of surgically-implanted hair and male breast reduction surgery. Minimally invasive treatments include types of peels, grafts, fillers and laser treatments. Examples are Botox or Botulinum Toxin, dermabrasion, dermal fillers, laser hair removal, spider vein treatments, microdermabrasion, skin rejuvenation and resurfacing, chemical peel, and permanent makeup.